One size does not fit all. 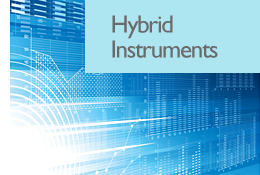 SciComp offers two types of solutions for customers seeking hybrid instrument pricing models. Arbitrary user defined models: SciComp supports the implementation of any derivatives pricing model valued using systems of partial differential equations (PDEs), stochastic differential equations (SDEs), or analytic functions. Therefore, users may define a nearly unlimited range of public-domain and proprietary models. Many models accommodate can time dependent parameters, either exactly through numerical models of the calibration instruments, or through very fast approximate analytic techniques. Several robust optimization techniques are available, both gradient-based and stochastic.